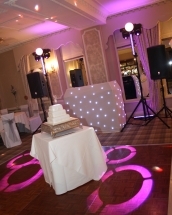 It was my pleasure to be chosen as DJ for The Merewood Hotel Wedding of Beth and Dan, a lovely couple from the Kendal area of Cumbria. It had rained intermittently throughout the day but was coming down heavily when I arrived, so I had my full waterproofs on to carry my equipment up the steps at the rear of the hotel. While setting-up I got talking to the Irish gentleman who was busy setting-up the room, and it turned out he was the Merewood Hotel Manager. 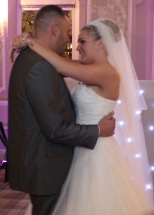 Meanwhile the lady working up a sweat by helping him lay the dance floor was the hotel Wedding Co-ordinator. They were impressed with my set-up and asked me for some business cards, even before I’d played any music. 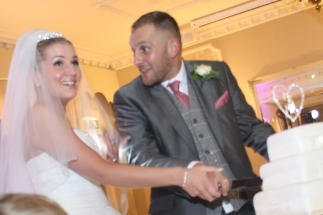 The bride and groom had requested Nathan Sykes, “Over and Over Again”, as their first dance song which was a great choice. The age range of guests spanned from children to elderly grand-parents. I stuck to playing well-known music, carefully judging which songs to play early-on, and which to save for later (I don’t like playing the same song twice). I was a little surprised that some recent floor-fillers like Uptown Funk only got 5 or 6 people up dancing. I got thinking this is surely the big advantage of booking a DJ, rather than a singer or band. They would have a “set list” or at least a limited repertoire, and I guess it would be tough if nobody was dancing. 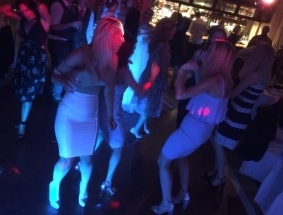 However, I was able to quickly move from recent chart hits, back to 80s disco, to Motown, to figure out which guests were wanting to dance, and what type of music would persuade them onto the dance floor. 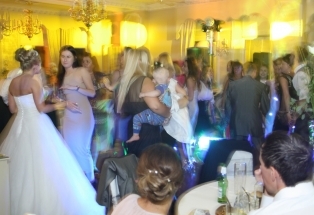 It tested my skill as DJ, but that is why I love doing weddings. There was one group in particular who were into R’n’B music and requested some classics including Sean Paul Get Busy, and Mr Vegas Heads High, which I enjoyed playing, because they took me back to 2002 when I hosted a weekly R’n’B night at Chase on Newcastle Quayside. Another highlight of the night was discovering one of the bride’s favourite songs, Perfect Strangers by Jonas Blue. 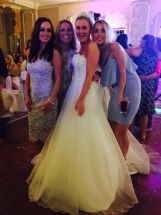 She spun around in her huge traditional wedding dress to much applause. At the end of the night, the barman said I’d “played a good set” and presented me with a bottle of Peroni Italian beer, leaving the cap on so I could enjoy it at home. 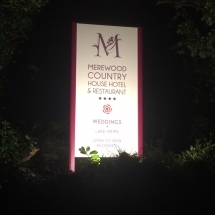 It left me with a really good impression of The Merewood Hotel wedding venue, and I hope to DJ at more weddings there soon.